Not got much time or just want the bullet points on how to make the world’s best chilli (or champion vegetarian and vegan chilli)? Click here for my Quick Read Chilli Recipe. 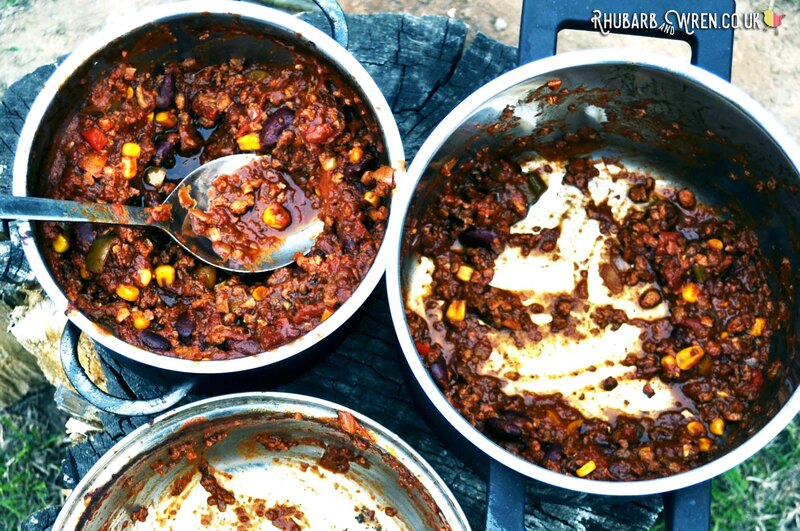 This easy one-pot chilli recipe is cooked on the stove (or over the campfire! ), in a large (affiliate link) sauté pan or deep frying pan. The chilli can be prepared a day or two in advance as it keeps well in the fridge. As a matter of fact, it actually often tastes even better the next day. When we’re having a chilli dinner, we often make a big batch so that we can freeze half for another day. And if you’re away from home, this is a great meal to re-heat over an open fire or barbecue, especially if you’re cooking for a big group of hungry campers! There’s nothing like a big bowl of chilli to keep you warm around the campfire. 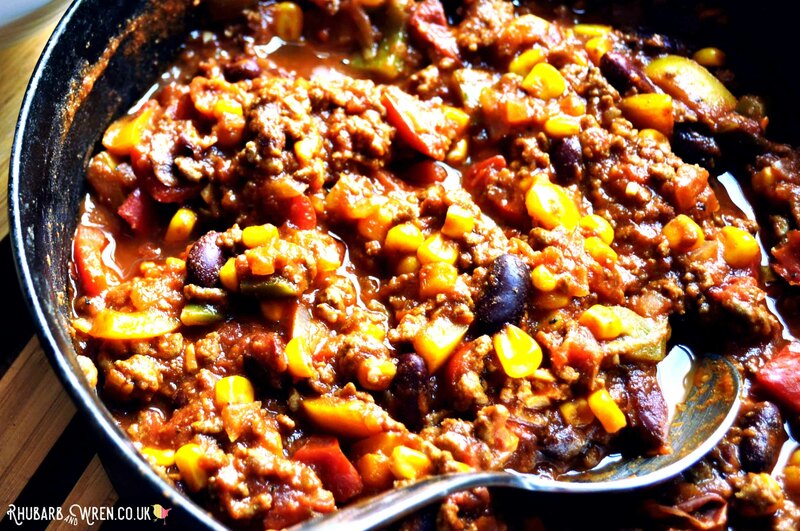 This chilli also works particularly well as family camping food because you know it’s packed full of vegetables as well as protein. 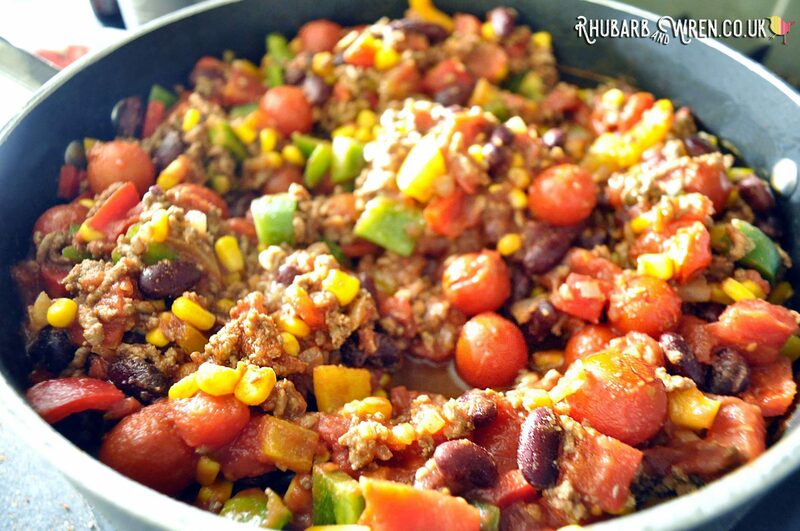 And, because it’s a one pot recipe, this chilli makes a filling, nutritious, and warming meal that you can cook over a single burner or campfire. Any product links in this article are Amazon links. These are all affiliate links and you can find out more about what that means on my ‘about affiliate links’ page. The best chilli has as many fresh ingredients as tinned. 2 or 3 cloves of garlic, finely chopped. 250g lean mince beef OR 250g veggie mince (make sure this is egg and dairy free if making vegan chilli). 3 large peppers / bell peppers (I like to go for one each of red, yellow and green), roughly diced into smallish squares. 1 400g tin of chopped tomatoes. You can throw in some fresh tomatoes (roughly chopped) too, if you’ve got them. 4 tbs Worcestershire sauce, use Henderson’s Relish instead if making this as a vegan / vegetarian chilli. 1 tin of the cheapest kidney beans you can buy. Trust me, cheap ones will be much better in this dish than the more expensive brands, because they tend to be softer and slightly broken, which is what you want for the perfect chilli. 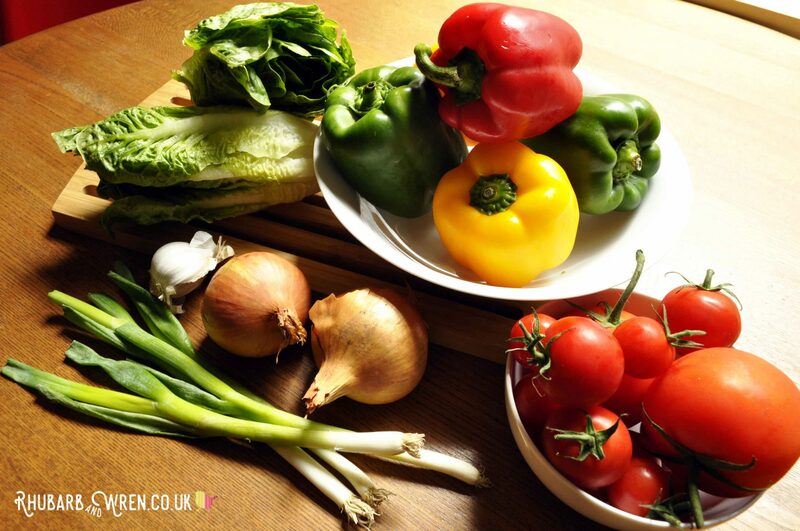 Tomatoes obviously aren’t the only ingredient… but they’re probably the most important! I’ve tried a lot of different sauces with this dish, and after much trial and error I’ve come to the conclusion that Lea & Perrins Worcestershire Sauce and Henderson’s Relish (my vegetarian and vegan alternative) are by far the best. You simply won’t get the same depth of flavour with anything else, but if you really can’t get them, then use the nearest equivalent instead, along with a good glug of tamarind sauce and a teaspoon of balsamic vinegar. 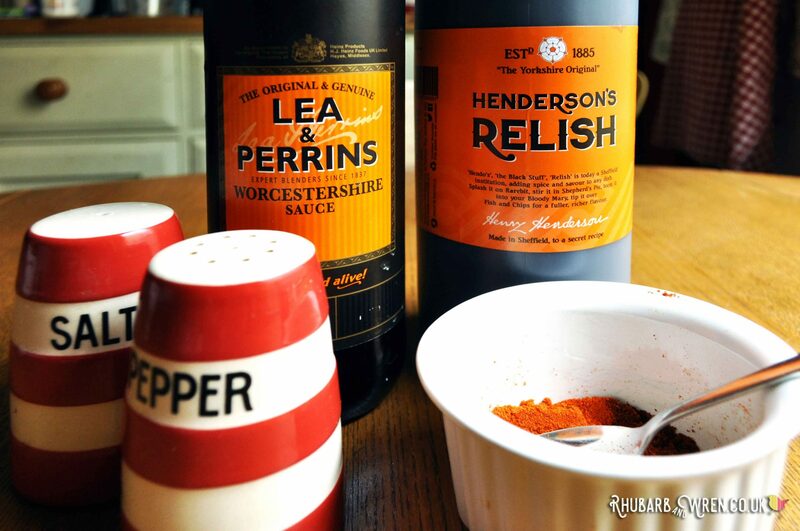 My kitchen essentials – a bit of Lea & Perrins or a dash of Henderson’s! 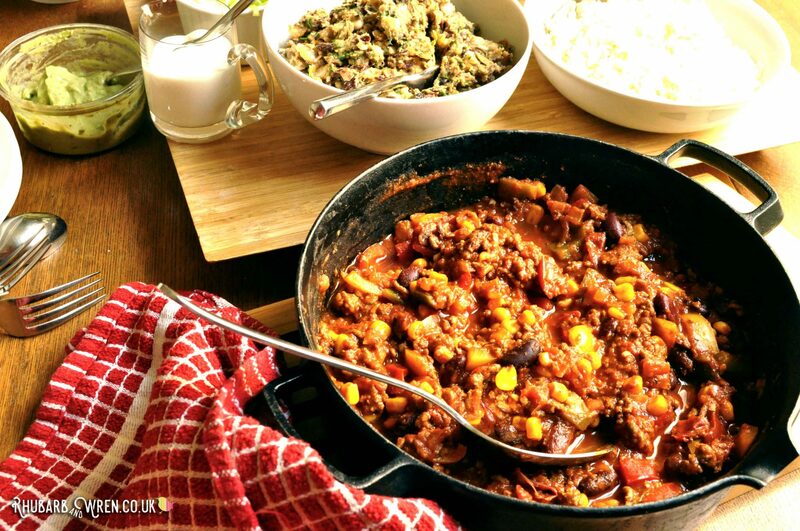 To make this a vegetarian or vegan chilli recipe, all you need to do is just replace the mince beef with vegan veggie mince, and then replace the Worcestershire sauce (which contains anchovies) with Henderson’s Relish (which doesn’t). A vegan chilli that tastes every bit as good as the beef version! 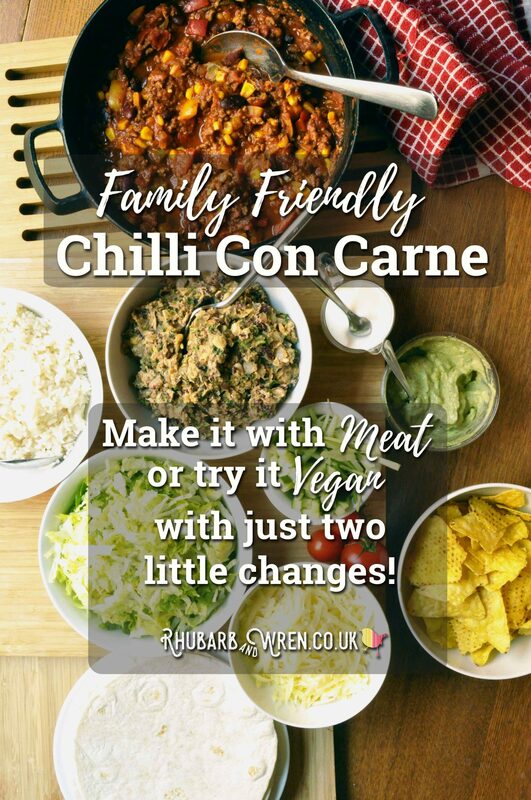 What I love about this as a vegan chilli recipe is that it is almost indistinguishable from the beef chilli recipe, which means you can cook one meal for vegans, vegetarians and hardened carnivores alike that everyone can enjoy together. Sharing a meal together is one of the nicest things you can do with friends, and it’s best of all when everyone is able to eat the same food. 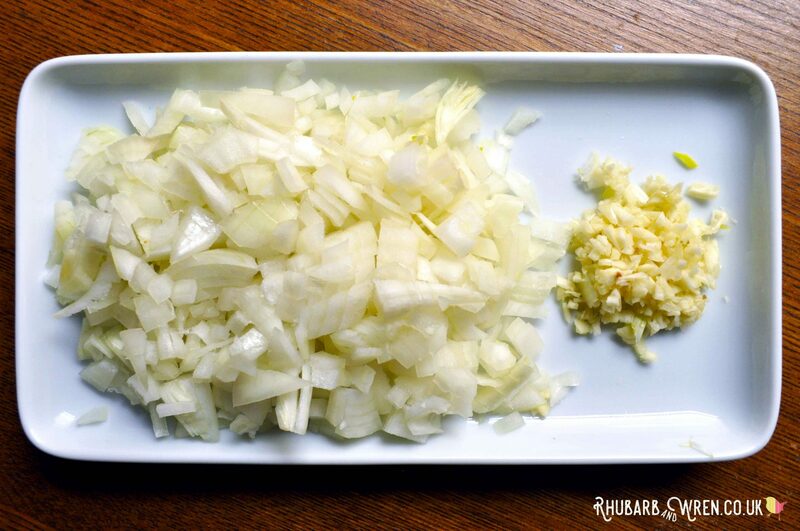 Chop your onion and garlic fairly small, and keep the heat low to avoid burning them. 2. At this point, sprinkle on the chilli powder and paprika. Stir and cook for another minute, then push to one side of the pan so that the onions are no longer directly over the heat..
3. Next, add the beef or veggie mince to the other side of the pan, and cook until fully brown. 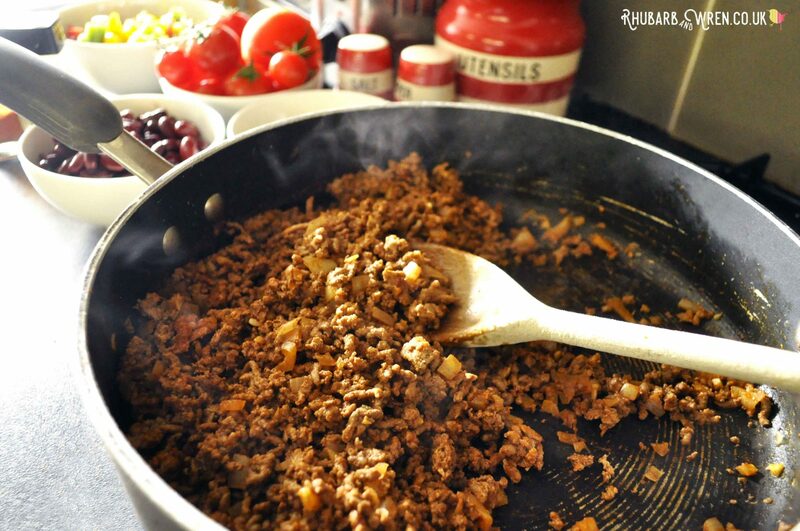 Make sure to stir frequently to avoid burning, and use a wooden spoon to break up any lumps in the beef. Brown the mince in the same pan that you cooked the onion and spices. 4. Once the beef/veggie mince has been browned, stir into the onion and spices. Then add in the chopped peppers and cook for about five minutes. 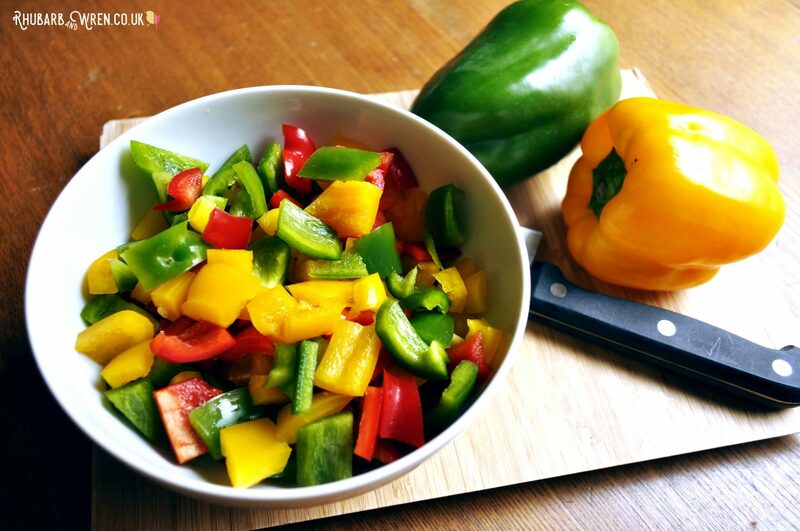 Don’t chop your peppers too small! 5. In a small cup or dish, mix together the tomato puree and Worcestershire sauce. Alternatively, substitute Henderson’s Relish for the Worcestershire sauce if you are making a vegan chilli. Add your mix to the pan and stir well. 6. 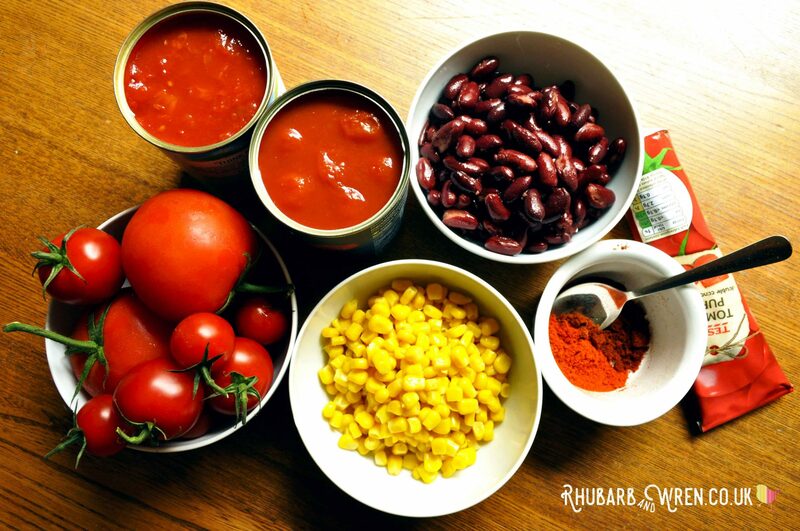 Finally, add the tinned tomatoes, tinned sweetcorn, and the kidney beans. Season with salt and pepper, then stir well before covering and simmering for fifteen or so more minutes, until the chilli is nicely thickened. Your delicious, homemade chilli dinner is ready to serve! Delicious, rich and tomato-y chilli – done! Toppings maketh the chilli! These little extras turn a tasty and easy one-pot meal into a fabulous family friendly feast. One of the reasons the kids love eating this chilli so much is because we often do the whole shebang of toppings, so that they can have fun making their own burritos. It makes for a really fun (and tasty) meal for everyone. Cucumber & spring onion, finely sliced. Hot sauce – to add heat for those that want it, so you can keep the chilli at a kid friendly family meal spice level! Plus rice and/or tortilla wraps to serve. 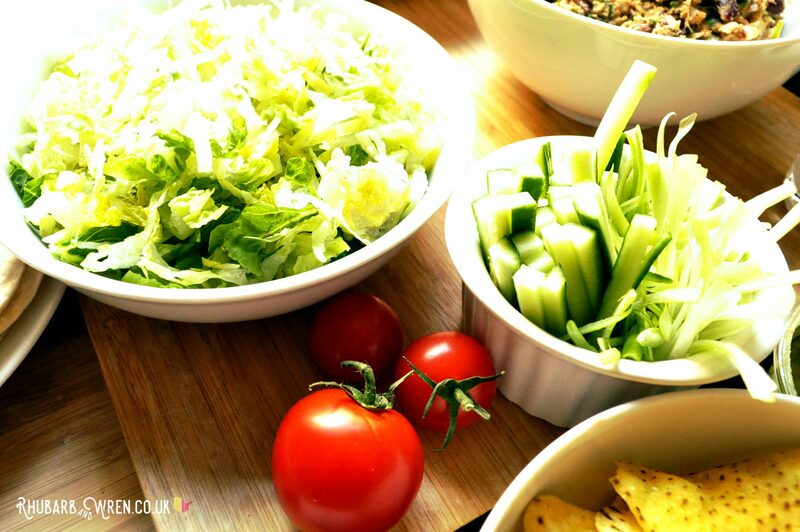 Side dishes and toppings are what put the fun into this meal! Chilli is one of the best communal meals you can make – whether as a kid friendly family dinner or as a main course for a large group. You can keep this simple and just serve over rice, but it’s so much fun to add some tasty chilli toppings. So while your chilli is simmering on the stove, pop on a pan of rice, slice the veg, grate some cheddar cheese and warm up some wraps. If you want to make it extra special, whip up a bowl of my homemade refried beans recipe too – so much nicer than any tinned version. Got leftovers? Try your chilli as a topping over a bed of nachos, or on a jacket potato. A family favourite is to stir the leftovers in with cooked pasta and a simple cheese sauce to bake in the oven. We call this mac ‘n’ cheese variation ‘México and Cheese’, and it’s absolutely delicious. As my kids have expressed absolutely no preference for the beef chilli, I tend to make this as a vegan chilli quite often. The meat production industry is one of the biggest contributors to global warming so, while we are unlikely ever to go full vegetarian or vegan, I try to make at least a few of our meals each week meat-free. Give your vegan friends more than crudités to eat! 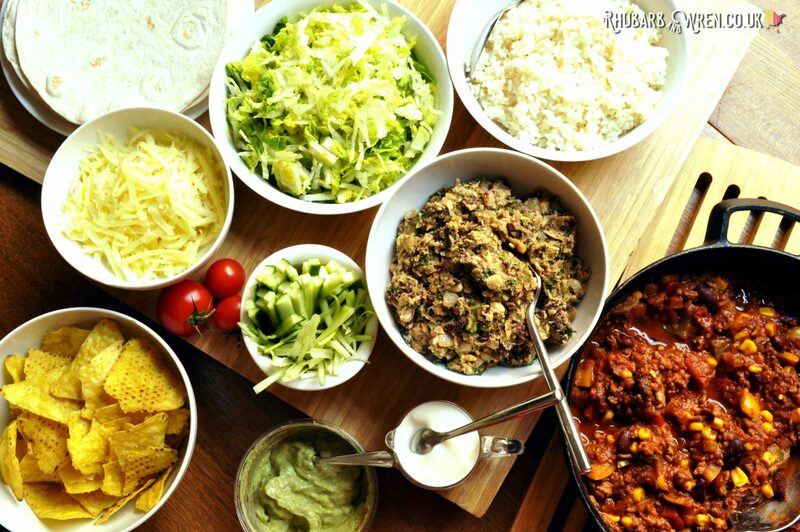 Make them a vegan chilli with an all-vegan smorgasbord of toppings. So vegan chilli (with a side of vegan refried beans) has become a regular meal for us – and as the veggie mince is much cheaper to buy than beef, cooking this helps my budget as well as the planet! 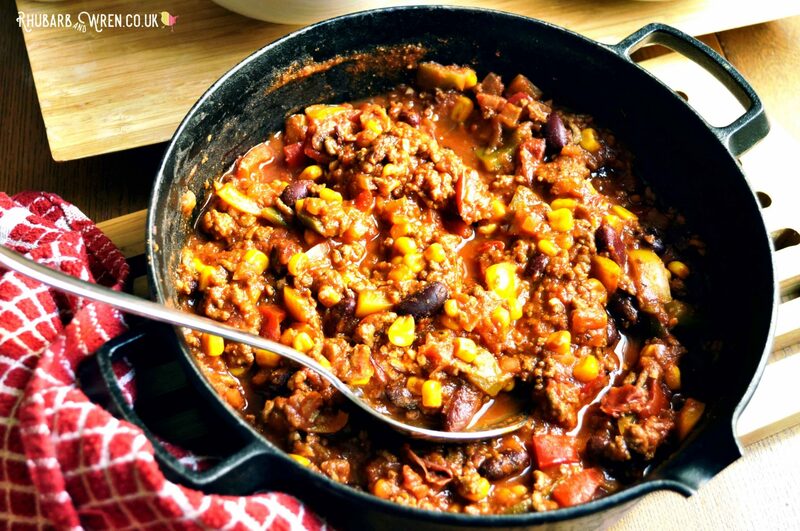 This great chilli recipe is also an easy one pot meal to cook when you’ve got a lot of mouths to feed, because it’s quick to cook and goes a long way. Plus, of course, it’s delicious! We’ve made this for large family gatherings, group camping trips, dinner parties, buffets, and barbecues, and it goes down well with everyone. It’s now definitely my go-to recipe for large group meals. If I’m cooking a big batch for a dozen or more people, then I’ll usually just double the mince and add an extra onion, pepper and tin of tomatoes and kidney beans to this chilli recipe. That will make enough to easily feed a whole football team, plus the coach, referee and probably the substitutes too – especially if you serve with my suggested chilli toppings! Make a big vat of chilli and you’ll keep the crowd happy! 1. Fry the onions and garlic until soft. 2. Add paprika and chilli powder. Cook for another minute. 3. Next, cook the mince until browned. Stir frequently, breaking up any lumps. 5. Next, stir in the tomato puree and the Worcestershire sauce (or Headerson’s Relish for vegans). 6. Finally, add the tinned tomatoes, sweetcorn, and kidney beans. Season, cover, and simmer for 10-15 minutes. Serve with rice and/or tortilla wraps. 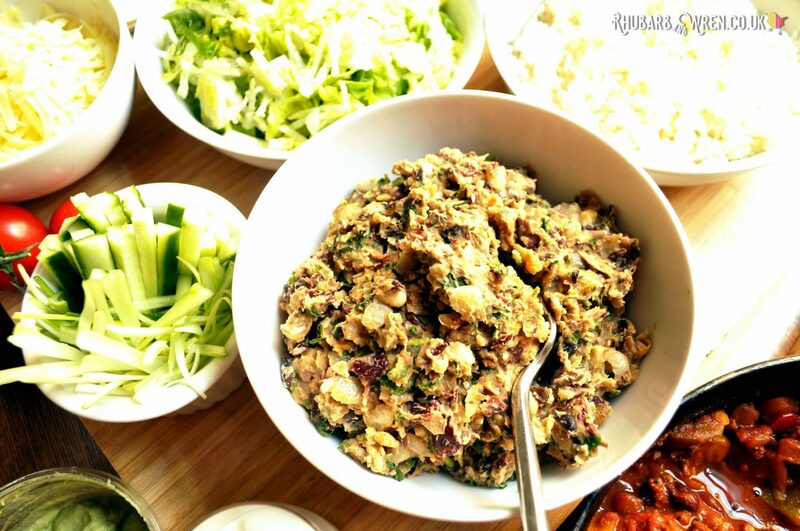 Add chilli toppings for extra yumminess!